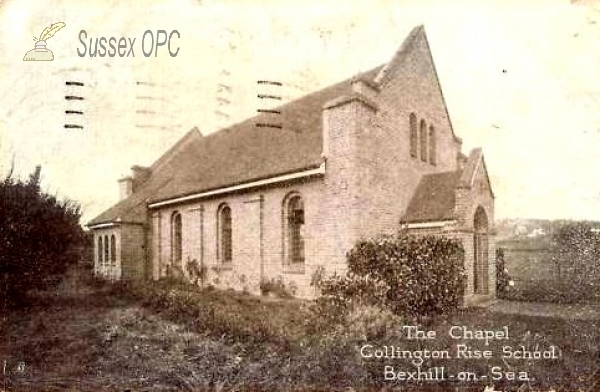 OPC for Little Common (Bexhill, St Mark) is : Nobody yet! Why don't you volunteer? The traces of the medieval village of Northeye may be traced in the fields at the western end of the parish (beyond HM prison). Indeed parts of the Northeye Chapel still remained in the 19th century, but are now believed lost. Little Common (Bexhill, St Mark) was created from the parish of Bexhill. Grid reference: 571417, 107865 ~ View on: Google Maps, Open Street Map, Streetmap, National Library of Scotland Map or Oldmaps. There are 83 images depicting this parish in the OPC database.